Shredding / grating discs (CA / CK). Shredding Discs for vegetables, cheese, bread, nuts, almonds, etc. Grating Discs for grating bread, hard cheese, chocolate, etc. SH discs: screwless and detachable for easy cleaning. 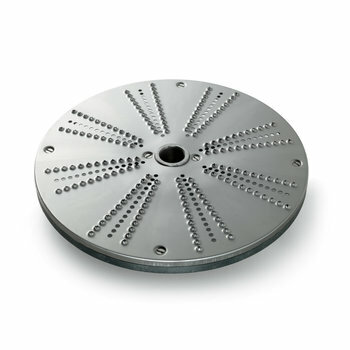 Accessories suitable for all Sammic Food Processors.